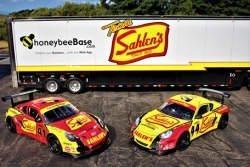 North Canton, OH, September 17, 2017 –(PR.com)– Team Sahlen welcomes their newest partner, honeybeeBase.com to their 2017 campaign. honeybeeBase.com is a cloud-based web app for businesses to manage their human resource services to their team members. The need to increase employee efficiency and decrease office paperwork processing is becoming paramount in this dawning age of technology. honeybeeBase.com understands this need to have a cloud-based web app on a mobile device to make team members' lives easier. The problem arises when each solution to a problem requires a completely different web app. 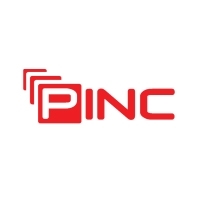 This means multiple web apps that do not function together and multiple costly monthly service fees. This is why honeybeeBase™ was created. honeybeeBase.com provides you with all of these functions on one simple web app at one basic affordable investment per month. Team Sahlen has a rich history in Sports Car Endurance Competition. In the team’s inaugural year, the team won the 1984 SCCA Endurance SSC class racing a Volkswagen Golf. This was followed by winning the same Championship in 1987. In 1997 and 1999 the team secured the IMSA Endurance Touring class Championships racing the Mazda MX6. The team then switched to Acura Integras and won the 2001 & 2002 Grand American Endurance ST Titles again. Next the team moved up to the IMSA Endurance Championship and secured the 2003 & 2004 Titles racing Porsche 911s. The team then transitioned to the Grand American ROLEX series competition, racing a variety of cars that included Porsche GT3 Cup, Pontiac GTO, Chevrolet Corvette and Mazda RX7. During this period the team captured the 2005 and 2011 Bob Akin Sportsman Awards in the GT class. In 2013 the team competed in the top level of Sports Car Racing – the Prototype class in the ROLEX Series. This 1st year in Prototypes saw the team secure 2 Pole Positions, many laps led and securing the Jim Trueman Sportsman Award. In 2014, Team Sahlen returned to the IMSA Endurance Championship, securing Porsche the Manufacturer Championship, and narrowly missing out on the ST Driver & Team Championship. During 2016, Team Sahlen competed in 3 Endurance Series (American Endurance Racing, World Racing League and ChumpCar World Series) and achieved the unique distinction of winning overall in each of the 3 Endurance Series.